In my offline life, I do a lot of coaching – both conventional athletic, on the soccer field coaching but also off the field with players, friends, and family. I really love to help people parse their hopes and dreams into plans, to help them see their own roadblocks and plan their strategies, to unlock their potential. It’s New Year’s Resolution season, and I am still working through my personal journey to balance my ambitious nature with a need to be compassionate to myself. I am built to strive, but I need to find a way to be balanced. When I let my love of Adventure and Improvement start wearing their capital letters, I can accomplish great things but at the expense of my overall happiness and energy levels. I’ve dreamed up an idea that I’d love to share with you. Not just tell you about, but literally have you along on the trip with me. I’m calling it the Goalalong, from knitalong. GAL instead of KAL. I want you to think of all the hats you wear. Stop for a minute and think of all the roles you play and the facets you have. Think of all of the ways you walk through this life. Some of the words that might come to mind: friend, worker, parent, daughter, coworker, manager, knitter, crafter, teacher. Words that might describe parts of you or your life: creativity, intellect, physical, self care, health, travel, adventure, skills, spiritual, social. If you imagine each role, each facet of yourself, as spokes on a wheel that you’re building from the center out, would you say that your wheel would roll smoothly? 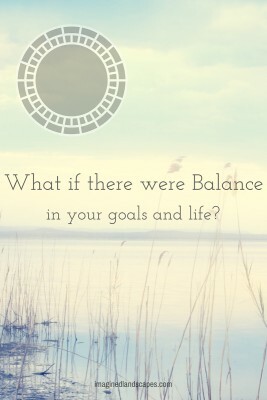 Do you feel balanced in the way you’ve developed the facets that are important to you? I don’t like my tendency to make a resolution in just one area and make it extreme (while telling myself it’s ambitious). So I’m going to use the idea of dividing my focus into a circle, and colouring in part of the circle each month until all of them reach the edge and I can roll smoothly through 2016. At first I was going to make a worksheet and have suggestions for you. “What is your goal for your physical self? Intellectual self? Social self? Creative self?” But then I realized you need to make this a personal process. Your sections need to be truly important to you. You might need fitness and food to be seperate categories, or not have them at all. Maybe you’re stashing up instead of stashing down. Maybe you’ve just had a baby and developing your reading habit isn’t important at all. Maybe you’re knitting 16 pairs of socks in 2016. I don’t know that, but you do. Spend some time thinking about what you want to develop in the next 4 months. (We’re going to break the year down into 3 terms.) 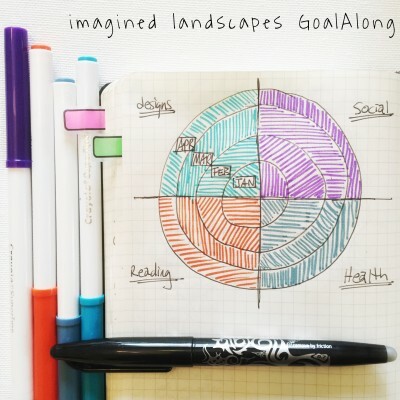 Sketch out a few ideas for yourself. I’ll be back soon to describe my ideas for how the accountability part will work. I’d love to read about what facets you might be focusing on in the comments. I spent some time brainstorming about this today, and I really like this idea! It fits really well with the way the planner I use is organized (the Passion Planner). Some areas I’ve been considering are creativity (and making time for sewing/knitting/etc. ), intellect (moving my research forward, doing more reading and writing), self-care (exercise and reading for fun), organization (of the budget and the apartment), and social. I’m interested in seeing the rest of your plan! I saw this on your instagram and have been meaning to comment. I’m definitely interested in this! I’m excited to see how the plan develops. 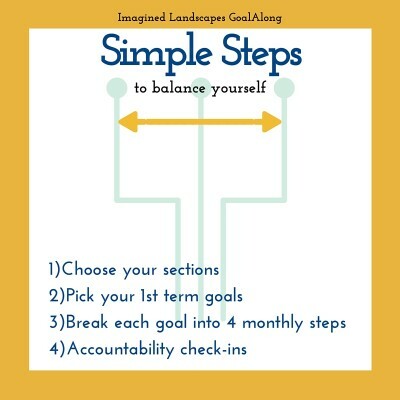 I often jump headfirst into a “resolution,” get overwhelmed and then forget the whole thing! I have two circles – one for Body/Home, and one for things I love. I have a theme for this year of ‘maintenance’, and the Body/Home sections reflect that, especially – sleeping enough, staying hydrated, eating well, exercising, doing chores, and taking my medication on time. The second circle is knitting, knitting design, reading, and music. I really like the idea of having two circles. Somehow this feels even more balanced and protective of self. Good idea!